I’m always looking for new products to clean my house. Nothing is more welcoming than a house that is freshly cleaned from top to bottom. Okay, that rarely happens ever since my daughter was born three years ago, but I do plan on getting my house in tip-top shape again. 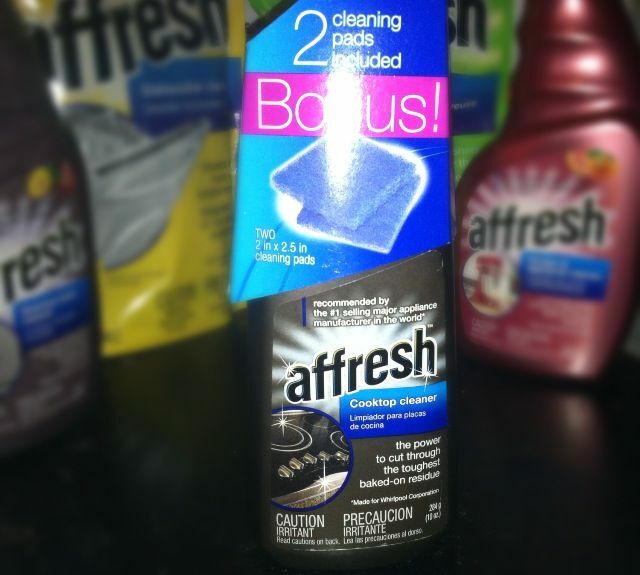 I recently had the chance to review the Affresh cleaning line, and I’m unsure if I’ll ever stray! My kitchen is getting cleaner quicker and easier thanks to the products above. I received the Kitchen & Appliance Cleaner, Stainless Steel Cleaner, Dishwasher Cleaner, Washer Cleaner and the Cooktop Cleaner. Since I’m a wannabe cleaning-nut, I couldn’t wait to try them out! I used the Stainless Steal cleaner on my fridge to remove the messy fingerprints that my daughter leaves behind. It has a lovely plum scent that makes cleaning more bearable, not only for me, but for my entire household. It got rid of those fingerprints, but there were some streaks left behind. No worries, though! I just used vinegar and water to remove the streaks. I found the Kitchen & Appliance Cleaner to work better than the Stainless Steel Cleaner. I prefer to use this on my counters, along with my blender and toaster. It removed all the gross residue from the food that I blended (or toasted). My blender and toaster were left super shiny! Probably more shiny than they were when I first bought them! This product resulted in NO streaking! 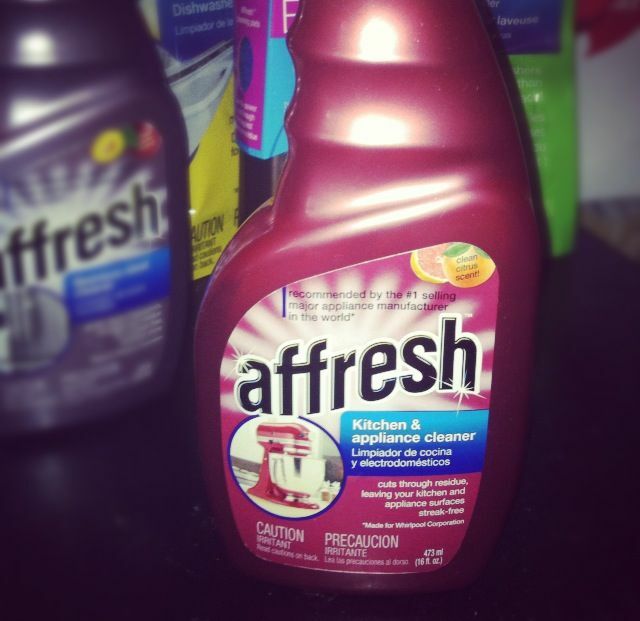 The dishwasher is my favorite kitchen appliance to clean now, thanks to Affresh’s Dishwasher Cleaner. Want to know why? Because I hardly have to do anything! It’s a win for busy (or lazy) folks! All you have to do is place one tablet into your main detergent tray, close and voila. It’s recommended that you use one tablet once per month, but if your dishwasher is really dirty – just place another tablet in the bottom of your dishwasher. My dishwasher wasn’t exactly filthy when I put it in, but it definitely improved it! 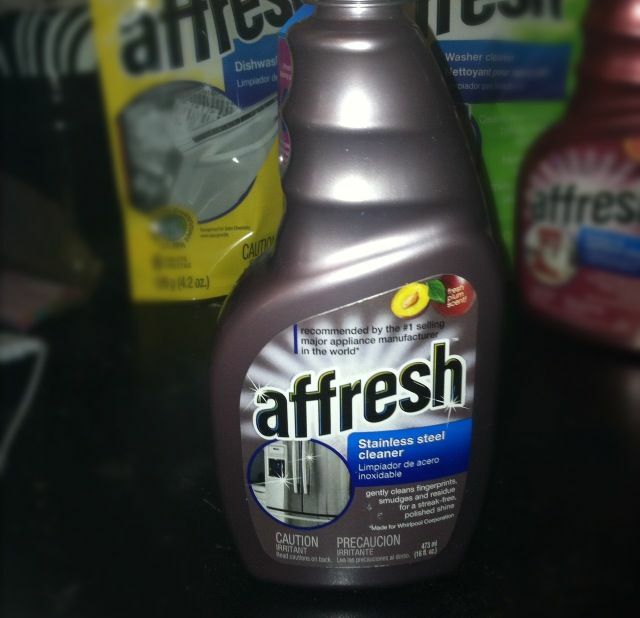 I really adore Affresh’s Washer Cleaner. Our washing machine is rather old, and I don’t see us purchasing one anytime in the near future. However, I can now at least keep the inside clean by using this product. It indeed DOES work better than bleach. 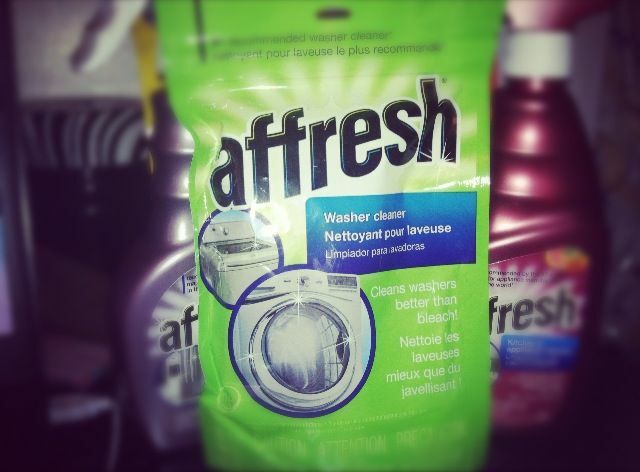 Did you know that using too much or the wrong type of detergent can cause sticky and stinky residue? I sure didn’t! With the Washer Cleaner, that residue is now obliterated! Like the Dishwasher Cleaner, this is only to be used approximately once a month. The Cooktop Cleaner was probably my grandfather’s favorite. We have a stove that’s completely flat, which in some ways makes it easier to clean as we don’t have to take anything apart. However, over time, baked-on residue builds up. With the Cooktop Cleaner, my stove has almost returned to it’s one time glory. This is safe for all glass, ceramic and porcelain cooktops. 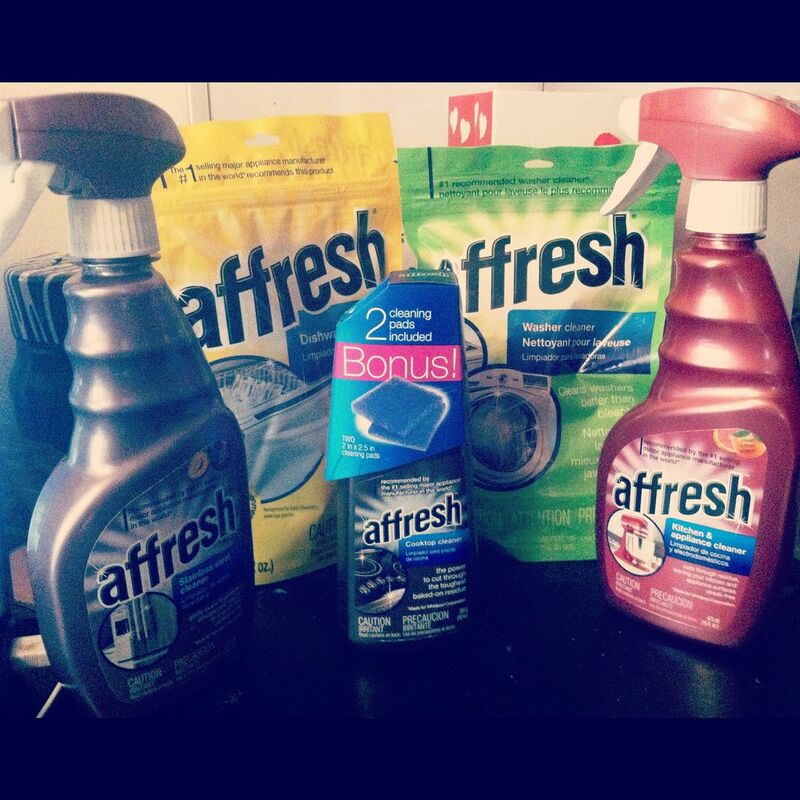 You can purchase all of the items I mentioned above in my review by checking out Affresh’s Where to Buy page. It is available online at Walmart, Amazon and Home Depot! 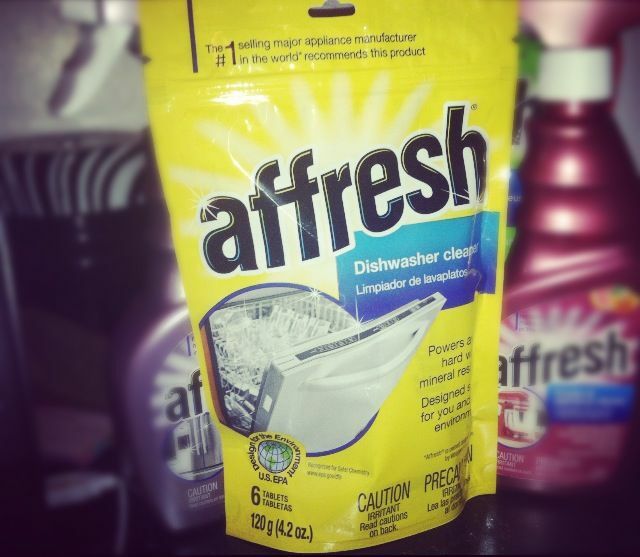 Stay connected with Affresh via Facebook!